Is there supposed to be curry in this recipe? My go to curry recipe. Like any curry it gets better with time, so the leftovers are often better than the first day. I’ve made this recipe countless times. Hi Kristen, I’ve noticed a few people saying that their lentils never softened. This might be because it says to salt the curry before cooking the lentils. Salting lentils before they are fully cooked can cause them to go tough. Hope this helps. 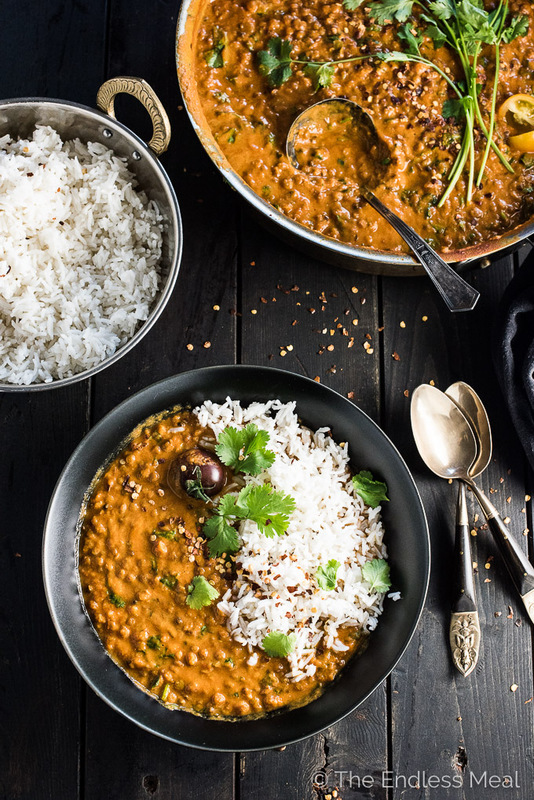 YUM – wow, this hits the SPOT when you need some hot curry but don’t want the calories of Indian take out, I even added a dash of honey to bring out a little sweetness from the coconut milk, and added onions and broccoli just for kicks. But I’m sad to say that after nearly 2 hours of simmering, my lentils never got soft!! WHAT on earth did I do wrong? I used green lentils from Trader Joes but even the package said they took 40 mins to cook. I kept adding liquid too so they could soak it up. Were the lentils you used new? Or had you bought them a while ago? They only time I’ve had trouble with lentils not softening is when I’ve used lentils that have been sitting in my pantry a while. They were new! Also, do you know how many days you can keep this in the fridge and still eat it safely? Really good! We loved it. Makes a lot for lots of leftovers. My partner and I LOVE this recipe! I make a big batch on Sundays for dinner and he takes it for lunch almost all week, can’t get enough! Coriander seeds are a revelation, and we roast up some cauli rice in coconut oil – it’s an absolute dream. I’m wondering if this would work in a slow cooker at all? 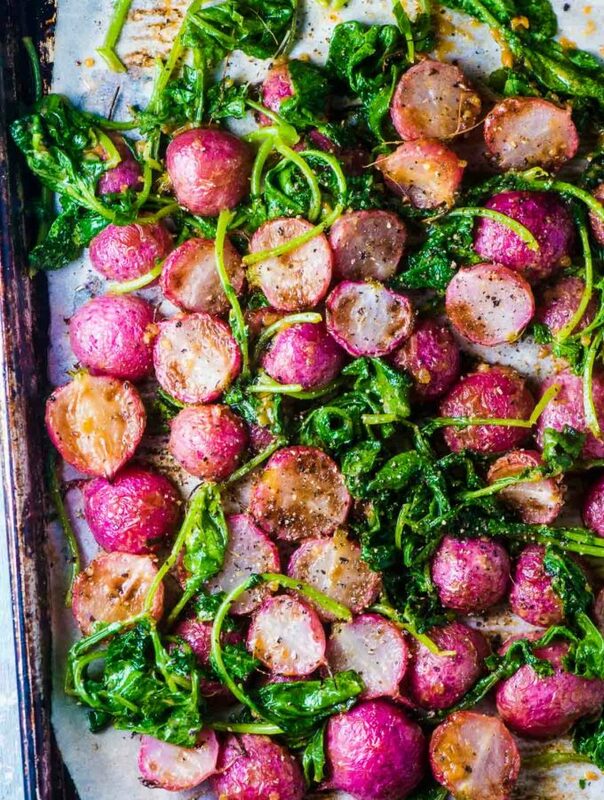 Hi Kristen, great recipe, I added a few potatoes for the hungry hubby. We have been on a strict budget so this recipe was perfect for budget. AND unexpectedly absolutely DELICIOUS. Although I will mention that we tried the coriander seeds the first time but used ground coriander subsequent times- which we actually liked more. I make a big batch and dish up dinner and then thicken the rest with a little flour and use as cob loaf filling and it’s AMAZING! I’m so happy to hear you like the recipe! And such a great way to use the leftovers! Amazing flavor, very easy to make and consistently good each time I’ve made it. I use split red lentils because I couldn’t find brown, they cook nicely in 30 minutes. I’ve also done it twice now with a diced onion and diced carrot in the oil, cook it on medium until close to translucent then continue with the recipe steps (coriander seeds, garlic, etc.). Doesn’t feel like you’re missing out on meat in this dish, it’s seriously tasty and filling. 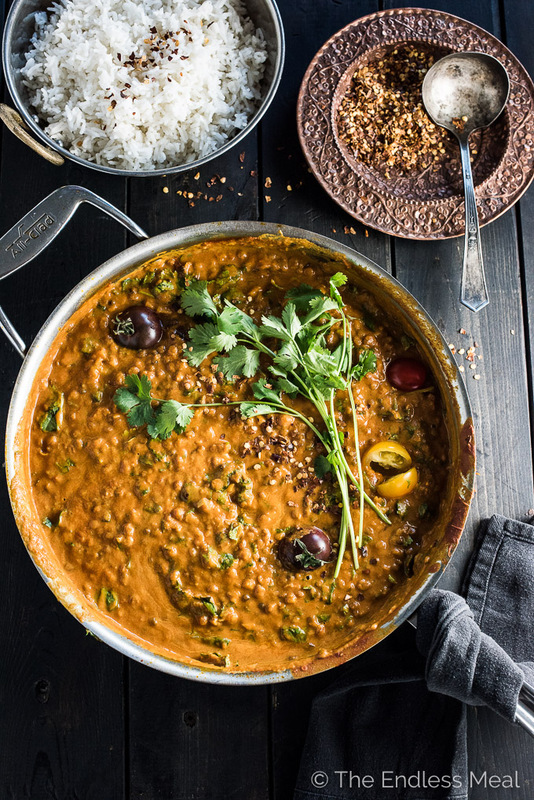 And cheap, holy man…lentils are dirt cheap! That’s so great to know about using split red lentils. There have been a few questions here about that. Thank you for letting us know! Delicious dish! Even my husband loved it This will become one of our faves. Thank you. OMG!! This recipe is amazing. My house smells wonderful, and I just ate two bowls of the soup. Can’t wait to share it with my family. The only change I made was reducing the salt. Looking forward to trying more of your recipes. First time cooking with lentils and I loved it! I just had to leave a review. I added half a green bell pepper and about half an onion, which might be why it reminded me a bit of chili (both are warm, filling, and very comforting!). It leaves a lot of room for experimenting veggie and spice wise. Served it with Basmati rice, but will probably just do some naan next time. Thanks for the recipe! You are so welcome! And yes, definitely do naan next time. 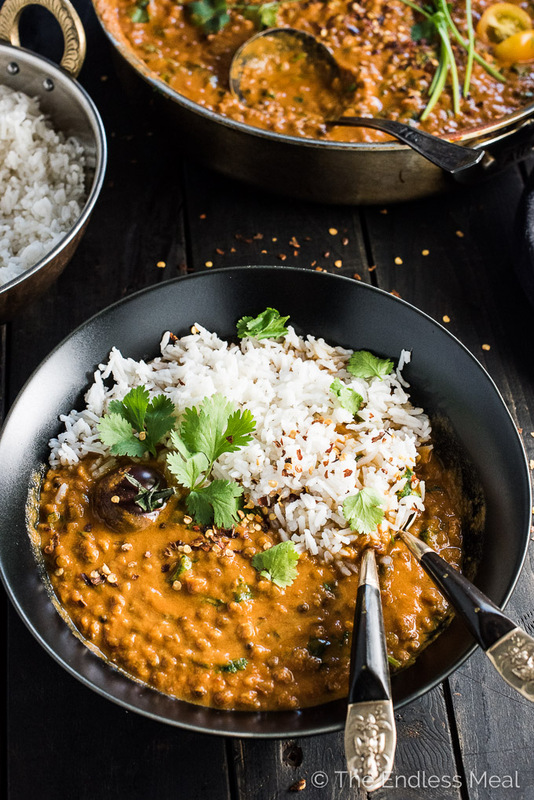 It’s soooo good with these lentils! I love this recipe, some adjustments done ( my husband needs low salt, so I used Himalayan salt ) and the results were great. Thank you! Himalayan salt is the best, isn’t it?! Hi! 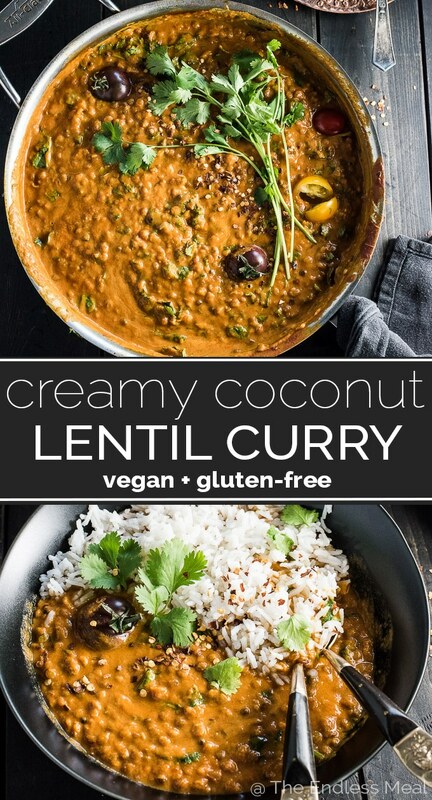 I would love to make this recipe because I have 3 cans of lentils in my pantry that I need to use. Would you be able to tell me how to adjust the recipe if I want to use canned lentils? I’m having trouble finding the seeds, can ground coriander and cumin be used? Would they be the same measurements? Thanks. LOVE this curry! So flavourful! Even better the second day (of course). The only substitution I made was that I used diced tomatoes instead of crushed. I pulsed tomatoes in the blender a couple times to “crush” them before use. I was worried that there was too much liquid while it was cooking, but I just cooked it a little longer and it was fine. I’m so happy to hear you like it! Leftovers are the best, aren’t they? The link in the recipe to the brown lentils takes you to Bob’s Mill red lentils. Thank you for letting me know that link needed updating! I dont think your calorie information is correct. This gives me around 380 cal/ serving. Could you please confirm? I double checked it and it looks correct from my end. (I use Nutrifox to calculate the nutritional information.) I do use light coconut milk rather than full fat which may be where the difference is. How much is a serving? Like one cup or two cups? I was wondering what the serving size is. it only says serves 6. is that a cup??? Amazing recipe – thank you for creating it! Suggestions for cook time and amounts of liquid if using canned lentils please. Would you alter the cooking time and follow the cook times if you use red lentils vice brown? Same amount of liquid? My lentils aren’t cooking very well and it seems awfully liquidy, any recommendations on how to fix that for next time? Flavour is great though! Mine was the same – I’ve made it twice, and both times the lentils took about 4 times as long to cook enough to be edible – certainly not soft. I’m going to try pre-cooking the lentils or using canned lentils next time. I’m rating it 5 , but haven’t tried it yet…it will be ready in 8 hours! 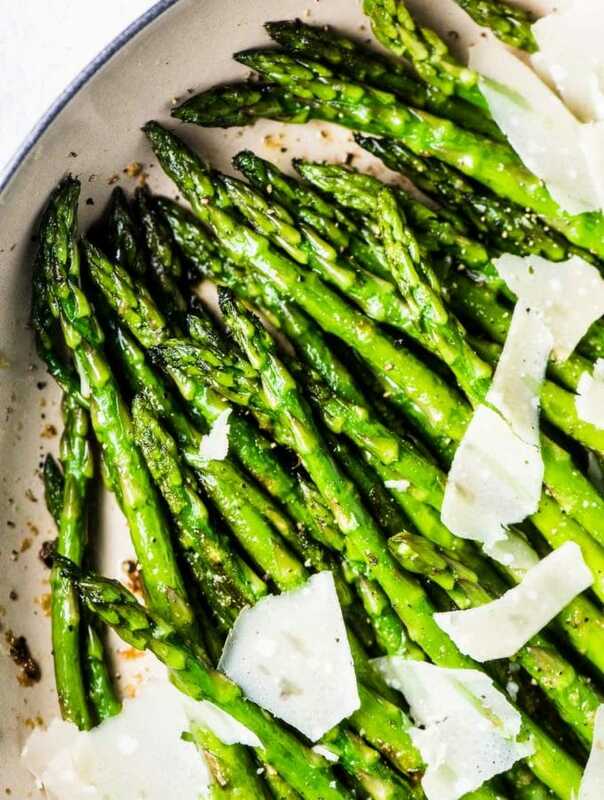 Question: What side dish can I use? No restrictions, I like meat. I made this for dinner tonight. it was ok but i did not taste any coconut flavor. what did I do wrong? 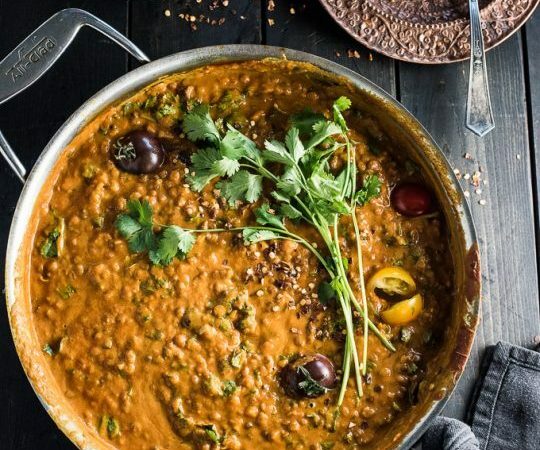 Could you substitute red lentils for brown? I can’t wait to try this recipe but I can’t find cumin seeds only ground cumin. How much ground cumin should I use? This was amazing!! Even my 3 year old loved it! Think it would freeze well or do you think the lentils would get mushy? Hi! Love this recipe. Was wondering if you’ve ever tried to make this in the crockpot? I just made this for dinner. It was amazingly delicious. Thank you so much, will be a go to meal from now on! Love this recipe! 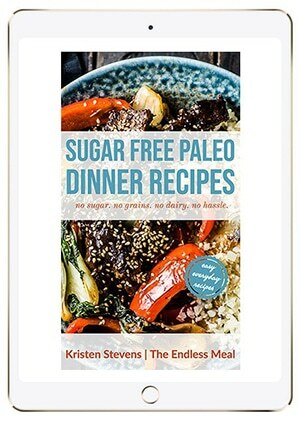 I’m a vegetarian, and always looking for new healthy yet filling recipes. This one has become a go to because of the bold flavor! Hi. This recipe looks absolutely amazing! If I don’t have coriander will the recipe taste the same? 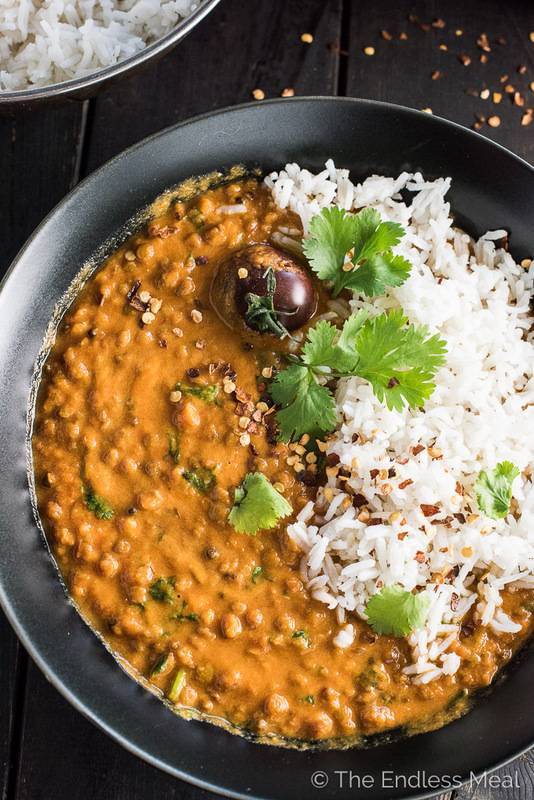 I LOVE lentils/soup and really want to make this but didn’t realize I forgot the coriander. This was AMAZING!!! It was so easy and I loaded tons of veggies in the pot and it still had TONS of flavor. Well done!! I made this for my family tonight and they all loved it! It was easy and the flavors are amazing. I’d never used whole coriander seeds before, so I wasn’t sure how that would go. But, even the boys liked the way they crunched and the burst of flavor from them. Thanks so much for the recipe. We’ll be enjoying this one again soon! We loved this! Thank you. We added cherry tomatoes and roasted garlic (instead of choppped) and added sour cream to serve. We had Naan instead of rice. Based on another post, we will try adding Swiss chard or kale the next time. We will definitely make this again! Thank you! Naan is my favorite with this, too! I’m so happy to hear it’s a hit! And I bet it’s delicious with some yogurt mixed in! I am a meat eating, gluten loving, non organic cook. But oh my word…..this was delicious! I used green lentils and added frozen spinach and topped with yogurt with a side of naan. I will be making this again…and again….and again! Delicious and super easy. It’s now a staple recipe for us. Hello! I can’t find brown lentils anywhere – I can only find red, green, black and then there’s a general “lentil” that’s a beige color. Any advice as to which to use for this recipe? Thanks!! I made this in my instant pot. I added 1 tsp Garam masala one Kashmiri pepper and a few fresh curry leaves from my tree. 2 cup water rather than 3, and 25 minutes at normal pressure. Fabulously delicious! That’s so great to know! I just got an Instant Pot so will use your timing to make this! Wow, somehow stumbled upon this little gem of a recipe and OMG !! The flavours are pure heaven making you want more and more. My friends loved this fish and it’ll be with me forever I look forward to trying more of your recipes however I think it’ll take a lot to top this one. In the recipe I am yet to add coriander seeds so will source some and I use larger skinned tomatoes cut into quarters – delicious!!! Would love to make this but not sure about cup measurements, could you tell me what they are in grams.